Sired by World Champion Ultra's Special Agent and out of a gorgeous Noble Flaire and Cajun Pepper granddaughter, "Rudy" is beginning to prove himself in the breeding shed. After an incredible show career with many victory passes in the open and amateur divisions, Rudy began producing offspring that are following in his footsteps. 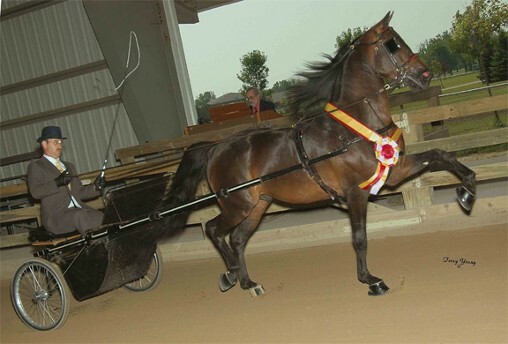 His first son, Cedarcrest Code of Honor (Clearly Liberated, dam) drove in his first pleasure driving class and nailed a blue this past summer at the Morgan Masterpiece. 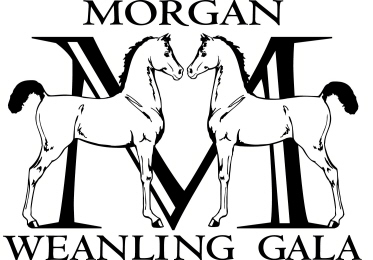 Daughter WGF Just Kiddin' (WGF Firefox, dam of RWC WGF Playing With Fire) was top ten in a large class of the nation's best weanlings at the Morgan Weanling Gala at Jubilee Regional. His babies all exhibit Rudy's square trot, correct legs, and a willingness to please. In the herd, Rudy offspring always stands out. Pair Rudy with any mare, and you're guaranteed to get a horse that will exceed your expectations and excel at whatever you desire to do! 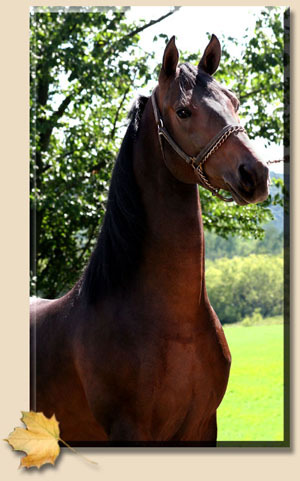 Sired by the Triple Crown winner HVK Bell Flaire, this athletic and charismatic stallion’s pedigree speaks for itself. “Nick” is handsome and talented with personality plus. 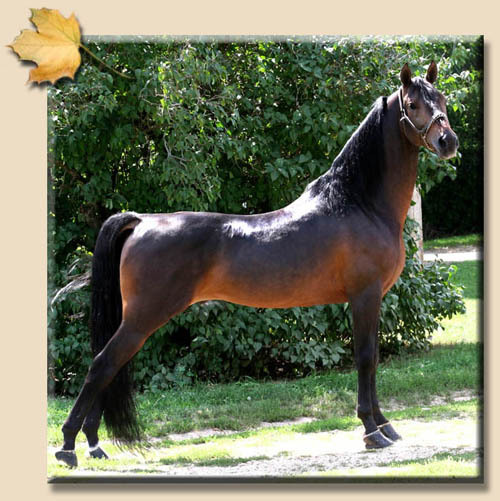 He is stamping his foals with lovely heads, strong trots, and show horse attitude. His get will be a force in the show ring for years to come. Contact us at (866) 384-7188 in Mazomanie and Madison, WI, for services from our equine farm.